Let’s just take a quick review of the situation as we know it. 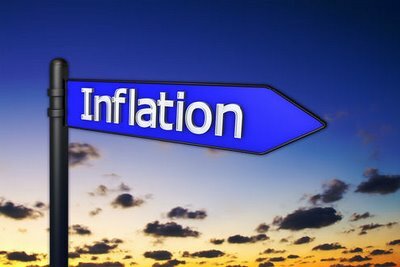 The real inflation rate is over 10% and the real u6 unemployment rate is over 22% according to Shadowstats.com. General Mills recently reported that their input costs rose from 10% to 11% year over year. This is no shock to anyone that goes to the grocery store every week. The Baltic dry index, the measure of shipping rates worldwide , dropped over 65% between Nov 2011 and Mar 2012. This means a lot of cargo ships are sitting around with nothing to do. The housing sector is still in shambles and will take at least a decade to work off the Millions of foreclosures on the books and the millions about to be added in the next few years. This means the price of houses will continue to fall for the foreseeable future so if you decide to buy please do some research and go into it with both eyes open. Recently the BRICS countries held a meeting and agreed to conduct more commerce in their own currencies instead of U.S. dollars. Iran is selling oil for anything but dollars. Saudi Arabia is building a huge new refinery in cooperation with China on the Red Sea. It is estimated that there are about $700 Trillion in derivatives in the world banking system. This is over 10 times the World GDP. This is insane. So why is it a bad thing if no one wants to use our currency to do business? The Dollar is the world reserve currency. This means that all major commodities in the world are priced in Dollars. If someone wants to buy oil or grain they first have to exchange their currency for dollars to make the purchase. Because of this many foreign banks keep a large supply of dollars to do business. The only one that can print Dollars is the U.S. so we don’t need to convert anything to do business. That means we don’t need to have a lot of exports to make money to pay for stuff, we can just print all the money we need. This is exactly what we have been doing for decades. It has worked so far because foreign banks needed the money for their own use , but we have come to a point that there is too much money. The more money that is printed , the less each dollar is worth. Other countries are tired of losing buying power because of this so they are deciding to use something else. This means all of that U.S. money that is sitting in foreign banks is about to start moving back to the U.S. Most of the things we now buy are made overseas. If all of this money comes home it will flood the economy with money making the dollars you hold worth less. If we lose our reserve currency status we will then have to exchange our dollars for other currencies for whatever we buy just like everyone else. The more we print , the less it will be worth in other currencies. This means we won’t be able to just print what we need , we will have to make money by exporting goods. This will be difficult to do with the destruction of our manufacturing sector. In short , losing reserve currency status will make everything we import much more expensive and the continued printing of money will make things even worse. Every time you hear about someone moving away from the U.S. dollar you need to keep this in mind. And what are those pesky derivatives about? They are merely bets between banks , just like the bets you place in Vegas except when these bets have to pay off everyone will lose. Everything we buy will continue to rise in price at a faster and faster rate. It will be impossible for people to keep up in purchasing power. So what can you do to protect yourself? Consider this. If you buy $100 worth of food and put it in your pantry until you need it next year , and the price of this food goes up 10% , that is the same as making 10% interest on this $100 , just the same as if you had it in a savings account. The best thing is you will have no risk of losing this money as you would in the stock market or some other investment. If you do this with items you know you will need over the next few months , you can save a great deal of money and protect your buying power. If you keep a year supply of food and keep it rotated , you will effectively be eating at last years prices and this will shield you from any supply disruptions should they happen. This can also be done with things like clothing. You may want to put some of your extra money into something like silver to preserve your buying power. The best way for the average person is to buy pre 1965 junk silver coins or 1 oz bullion coins , but be aware that China is flooding the U.S. with fake gold and silver coins so buy them from a reputable dealer that can verify their authenticity. A good book to read on this subject is The Alpha Strategy (PDF), which can be downloaded free on the internet. It is well worth reading if you want a better understanding of economics. Most people like to be optimistic and think things will get better , but what if they get worse? Anyone living outside of D.C. knows that things are difficult these days so it only makes sense to be responsible and be prepared to take care of your family if the situation should continue to deteriorate. Some estimate the real inflation rate will hit 14% this year and possibly 25% next year. If QE3 is launched the estimates are as high as 50% within a year. If these estimates are even half right , it will destroy the average working class American. A can of ham will always be worth a can of ham but a dollar is only worth what someone is willing to trade you for it. Prepare yourself accordingly.